I wanted to take a moment to invite you to a special evening workshop for worship teams and church leaders that we will be hosting on September 30, 2014. Cindy Cruse-Ratcliff and her team will be sharing wisdom and insight on how to build and lead an effective worship team. Regardless of the location or size of your church, it will inspire you to dream bigger! This intimate setting is perfect for teams to gather, learn and grow together. I believe that this will be well worth your time and will help you take your worship ministry to a whole NUTHA level! For those who are interested, Cindy, along with her husband Marcus, will also be hosting a Night Of Worship the following evening (Wednesday, October 1st) at our monthly 1st Wednesday service at 7p.m at Freedom Life. We would love to have you join us for this as well. If you intend on bringing a group for the service, please email stacey@freedomlife.tv so that we can ensure seating for you. COST: Free. Come And Be Encouraged And Grow With Your Whole Team! Known to many as America’s Worship Leader, Cindy has served as the Director of music and is the senior worship leader for Joel Osteen & Lakewood church. Through this platform, Cindy enters more than 100 million homes weekly singing and sharing her music with viewers in the U.S., Australia, New Zealand, Korea, China and Africa. The program was voted the No. 1 most watched inspirational program in America. Cindy has also recorded several live worship albums with Lakewood, as well as, a collaborative Christmas CD with The Houston Symphony. After the success of her critically acclaimed solo album “Twenty Three”, she released her sophomore project, “Heaven Raining Down” in the spring of 2014 through her label RPM Music, in collaboration with Capitol and L.A. based Dream Records. The new CD climbed to #2 on the Billboard Music Charts and is gaining popularity around the world. Cindy’s enjoyed performing in such iconic venue’s as Carnegie Hall, Madison Square Garden, Staples Center, Yankee Stadium, O2 and Wimbley arena’s. In addition to her US events, she’s also enjoyed recent tours to such nations as the UK, New Zealand, Australia, Singapore, The Philippines and South Africa. Cindy is excited to be performing once again in NYC this December, at Carnegie Hall, with award winning composer and conductor Tim Janis to benefit The Golden Hat foundation. 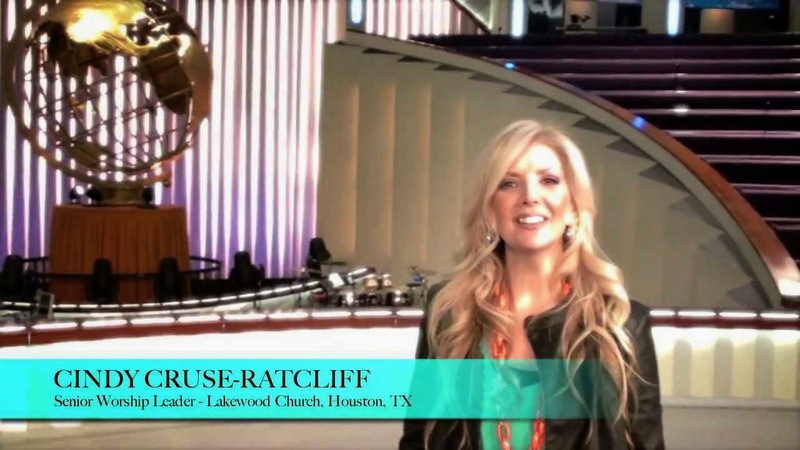 Cindy lives in Houston, Texas with her husband Marcus Ratcliff. Cindy and Marcus have three children, Windsor, Merrick, and Emory, whom they consider to be their greatest treasure.